Composer Hugh Livingston will create a library opera drawn from Alberto Manguel’s memoir about living and traveling amongst his collection of 30,000 books. The opera will be a new genre – an opera for the home and an opera for the great libraries of the world, bypassing conventional theatrical presentation. Clementinum: "The most beautiful library in the world"
Manguel’s evocative text consists of 15 recollections (The Library as Shadow, The Library as Island, The Library as Imagination) all tied into a collective image of a man sitting in his leather chair and traveling the world through a vast collection of writing. 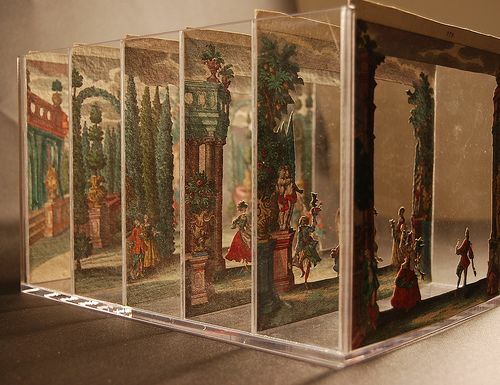 The opera will be created as an art piece: first as handmade collectible folding books that evoke a library space, and contain audio electronics for playback of scenes from the opera’s early composition. 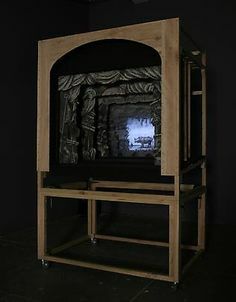 The next phase will be miniature theaters in the tradition of Victorian parlor entertainments, allowing collectors to have a larger representation of the operatic experience, complete with embedded video players that turn the time-based live performance into a physical art piece. Finally, a live performance opera will be created, with extensive video projections, and a worldwide tour planned. But the performance venues will not be theaters; instead the opera will be presented in the vast atria of the world’s extraordinary libraries, mapping the video onto the vertical spaces while voices surround the audience. In each case, a rare book from the library’s collection will be worked into the narrative, creating both a connection to locality and also a reflection of the ability of the written word to travel across time and space. The music will reflect a polyglot approach to theme and motif, drawing on many sources and conveying the richness of writing and printing. Mr. Manguel has agreed to cooperate on the adaptation of his evocative text into a libretto for the new opera. First will be a miniature version of the opera. 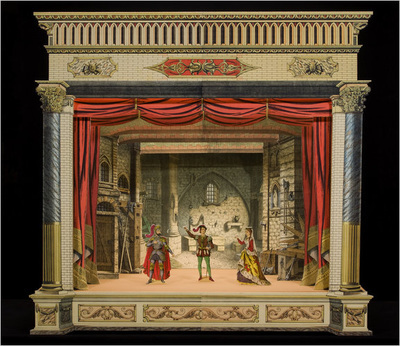 In the tradition of the Victorian paper theaters, we will produce models of stages referencing scenes from the opera. At each step we explore what opera is, sharing with the audience. It reduces the barrier to entry for the audience and the time scope, ideal for discovering creative direction. The second innovation is an opera maximally adaptable for traveling, The opera will be presented in the great historical temples of books. The production will be nimble with a small cast, and rely on video projection systems to instantly create scenography. The lesson from past large projects is that an opera takes multiple years to compose and produce and fundraise, mostly in isolation. I propose to approach this project with social engagement along the way, rewarding the participating communities immediately. I expect to be able to try out artistic ideas and build a feedback loop with the communities involved, with local libraries as the center. I anticipate artistic impact from performing at libraries around the world, for new audiences. I anticipate an intellectual impact from the ability to share the ideas of Manguel, a quintessential ‘man of letters’. As a multimedia opera presented in a variety of different modes, I believe that we have the possibility to engage the broadest cross-section of audiences. First, the work will be brought to many different communities, as a work capitalizing on extraordinary architectural spaces for collections of books. Through presenting partners we expect to attract literary audiences to supplement those for music and new media art. 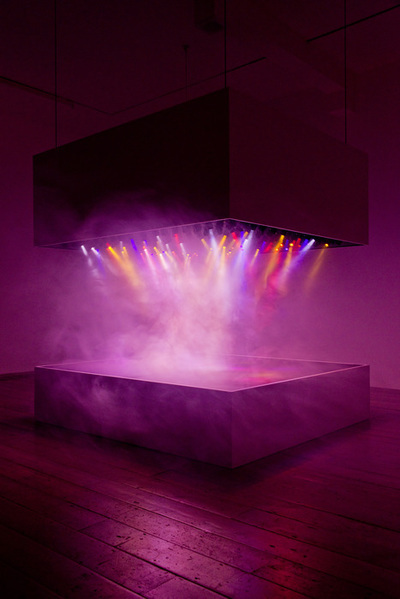 By creating physical artworks, we will connect a visual art audience to the total artwork being created. The project will begin in galleries, with miniaturizations using technology showcasing scenes from the opera. It will grow into full-scale theatrical productions that will be presented as video projections inside the central spaces of libraries. By creating a flexible performance, we expect to be able to tour at a low cost, and be invited by many libraries as part of their event series.